What Is Urban Ecology and Why Should We Study It? 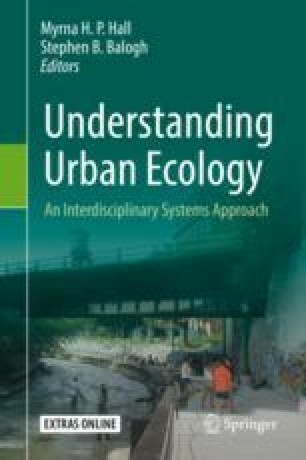 This chapter introduces urban ecology as an analytical approach to understand how our cities work as ecosystems and to assess trade-offs associated with proposals intended to make our cities more sustainable. We present the concept of social-ecological metabolism and review the fundamentals of systems ecology that we can employ to quantify flows of materials, nutrients, and energy upon which our cities, and thus the majority of the world’s population, depend. We make the case that predicted population growth, climate uncertainties, and natural resource declines will present difficult challenges to urban citizens and their leaders, making the study of urban ecology very important to securing more resilient cities in the years to come. The online version of this chapter ( https://doi.org/10.1007/978-3-030-11259-2_1) contains supplementary material, which is available to authorized users.